Believe me, they give off some heat! It was a momentous week even for Wembley standards. The Venue of Legends staged the world's two biggest club games in three days, then an international. 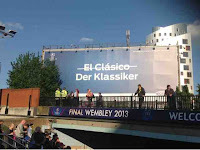 Nothing, not even the World Cup beats the Champions League Final for quality and now probably, glory as the pride of the Bundesliga, Bayern Munich and Borussia Dortmund squared up. The other big game, measured by sheer prize money was Crystal Palace against Watford for the keys to the Premier League and a £145m boost to the balance sheet. The Champions League Final gets bigger every year. The switch from midweek to Saturday night takes it into the cultural mainstream. From Saint and Greavsie to Ant and Dec, if you like. The opening ceremony starring a fully-fledged medieval battle between the red forces of Munich and yellow of Dortmund complete with bow and arrows, was kicked off with West End star, the War Horse. Honestly, ITV missed a huge trick not broadcasting it in their Saturday night output. Instead, they stuck with the foursome of drony Philistines pontificating on the irrelevant "could happen" points. While Adrian Chiles and Roy Keane swapped soundings, the choreography outside was literally marvellous. And the game didn't disappoint either. Bayern took their chances where Dortmund didn't and the master unlocker, Arjen Robben set one up and scored the other in the 2-1 win. So often, this was a textbook demonstration of how to attack against how to defend. But in Bayern's win, we're witnessing a change of guard at the top of European football. To win it a year after the disappointment of losing to Chelsea in their own stadium is a mark of a mighty setup. Follow that Pep Guardiola! Palace's win over Watford was more cagey. No one was going to be responsble for triggering tears in the boardroom. As it was, the headlines made were more romantic than the match. 39-year-old Kevin Phillips came off the bench to score the most valuable of his 280 career goals against the club where he made his name in his last game before retirement. Wilfried Zaha was so often the difference for Palace, with his clever touches on the floor and even brainier short-passing. But Manchester United will observe he needs to build on his game, just as Cristiano Ronaldo needed to in his first days at Old Trafford. England v Republic of Ireland rounded off the crowded fixture list as the FA's 150th anniversary game commemorated darker days between the two countries. It was the first fixture between the two since that ill-fated night in Dublin where crowd trouble brought the game to a premature end. Frank Lampard's goal-trail continued. His 29th international strike puts him just one behind Alan Shearer in the all-time scoring parade. Who says the Chelsea midfielder can't go on and score half a dozen more for his country? 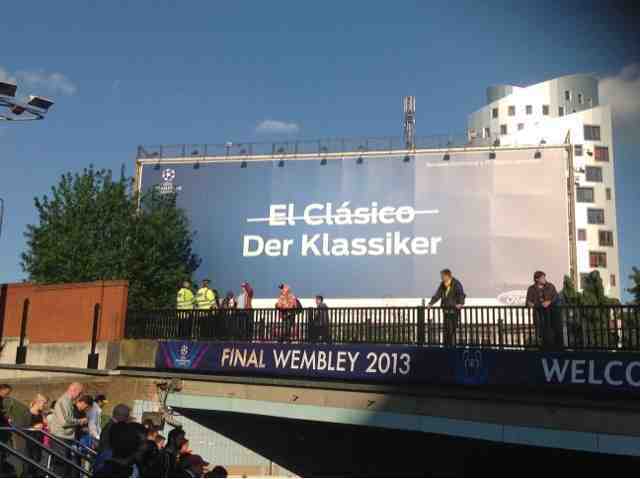 New Wembley is building its legend slowly but surely. It's just seven years old, but the atmosphere, particularly in the two club games was noisy, excitable and befitting the occasions. For a modern building, it has a soul. Is Moyes really United's best option? David Moyes needs a holiday. The pasty-faced Scot could do with some sunshine before he becomes a pale imitation of the red one. His appointment as Manchester United manager is a snapshot of the moment. United could, apparently, do no better than the sixth best manager in the Premier League; the universal acclaim with which his succession to the throne at Old Trafford has been greeted hides some uncomfortable truths. His Champions League experience amounts to two games. Both 2-1 defeats in 2005 to, an admittedly very useful, Villareal. He has never won a trophy and the football Everton have played in his eleven years lacked flair, imagination and style. Functional, you might say. Also swept under the astroturf are Everton’s habitual slow start and the exasperation of long suffering Evertonians. The failure to make much of an impression in the cups came to a head in March following the pathetic performance in the FA Cup quarter final defeat at home to Wigan. The reaction was rancorous. Everton never won at Arsenal, Chelsea, Liverpool or Manchester United while he was manager. Sir Alex shared wine, drunk wine and sold wine. Moyes is from Glasgow, a hard worker and, crucially, a mate of Sir Alex’s so these shortcomings were overlooked. How wise it was to have allowed Sir Alex so much input in choosing his successor and make him a director as well as an ambassador remains to be seen. Moyes, although respectful of his predecessor in a slightly fearful way, is strong enough to be his own man but will soon find himself compromised if every decision that has to ratified upstairs has to suit Sir Alex or face a veto. The Glazers, who operate United in a parallel universe governed by the New York Stock Exchange, probably see the successor to chief executive and vice chairman David Gill as far more important in maintaining the brand. As long as they keep signing big name players - any stars will do - and winning trophies - any silverware will do - the sponsors will be happy. Brand = First Team + Silverware x History. United should have cast aside sentiment and hired the best man they could for the job and that man is Jose Mourinho. They would also have had a better chance of luring Cristiano Ronaldo back to Manchester. Ronaldo in a United shirt is as unlikely as this! At the Bernabeu a couple of weeks ago I could see that any link between Ronaldo and United is ridiculous. He runs the team and will be Real Madrid player next year, whoever's in the dugout as boss. The paper talk is nonsense as Ronaldo's outgrown United especially now Fergie's not in the dressing room. 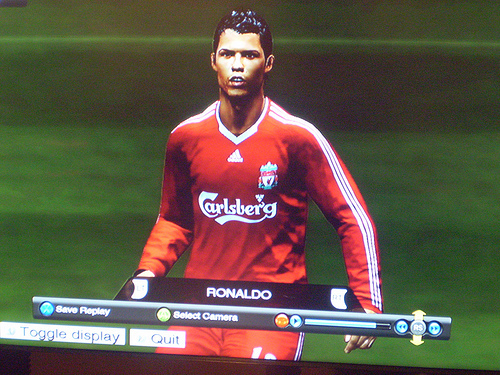 He is a Latino and the focus of Real’s world. Why would he want to play for a dour tactician who will never extend the special treatment he receives at Real? He knows where the sun shines and it is not in Manchester. Thanks for 2004 to 2010, Wayne. 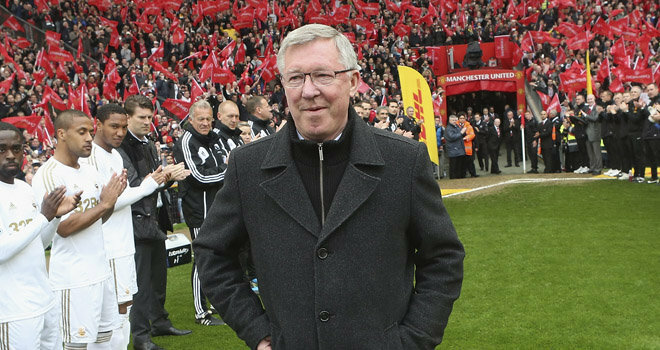 It was his last home game at Old Trafford and Sir Alex Ferguson received rightful rapturous applause for 26 years of magnificent management at Manchester United. United beat Swansea 2-1 with a typical late strike, the signature and style of so many United triumphs over the years. He gave a candid series of after-match interviews and confirmed his retirement had been planned for months, and it's largely down to personal reasons. I revealed earlier this season that David Gill had announced his departure from Old Trafford before Fergie so as not to upstage the big man’s retirement. Privately, Gill had always vowed never to leave the club while Fergie was manager. It was a real signal that moves were afoot for a change at the helm. But Sir Alex also says the death of his wife's sister played a big part in him deciding to step down as manager. But if you think Sir Alex is going quietly, think again. 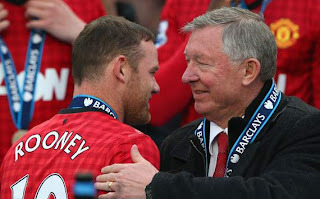 He also confirmed Wayne Rooney slapped in another transfer request. And he’d said NO! He says the player has grown frustrated at being substituted in recent games. Humility nay slight embarrassment. "I'm joining United." Fergie says we won’t let him leave. The clearest indication yet that Fergie will be Director …of Football. Some of Moyes’ decisions will be ratified - or hamstrung by Fergie’s determination and experience. "Don't worry about that!" When Bill Shankly left Liverpool, the Anfield board were determined that he was ushered away so Bob Paisley could run the team. They’d learned from Matt Busby’s continued presence which hung like a shadow over his successors. The difference is David Moyes has managerial pedigree – but don’t think Fergie won’t have a say in some of the key personnel decisions as his comments implied so yesterday. The League Managers Association (LMA) would like to congratulate Sir Alex Ferguson CBE on a truly remarkable and fantastic career following his announcement today that he will retire at the end of the season. Sir Alex Ferguson will retire at the end of the season. 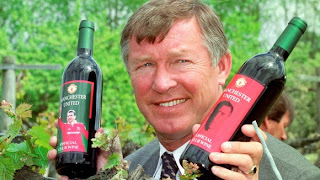 May 19th will see Fergie manage United for the last time against WBA, 26 and a half years after taking over from Ron Atkinson in November 1986. But he's not leaving the building. He'll become a club director and ambassador. Where that fits in with his successor remains to be seen. 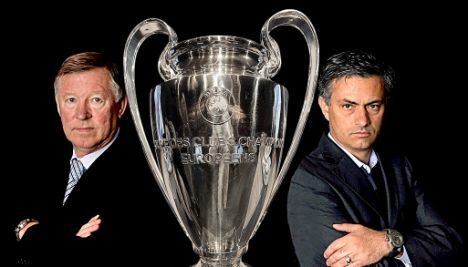 United have planned for this. Believe me, this hasn't caught them on the hop. This has been on the cards for a decade. The new manager will be unveiled in the coming days as soon as he's resigned his current post. When Sir Alex announced his retirement TWELVE years ago, it was an orchestrated procession lasting an excruciating whole season. The countdown to it reduced United from treble-winners and perennial champions to 3rd placed also-rans – 3 times in 4 seasons in fact. 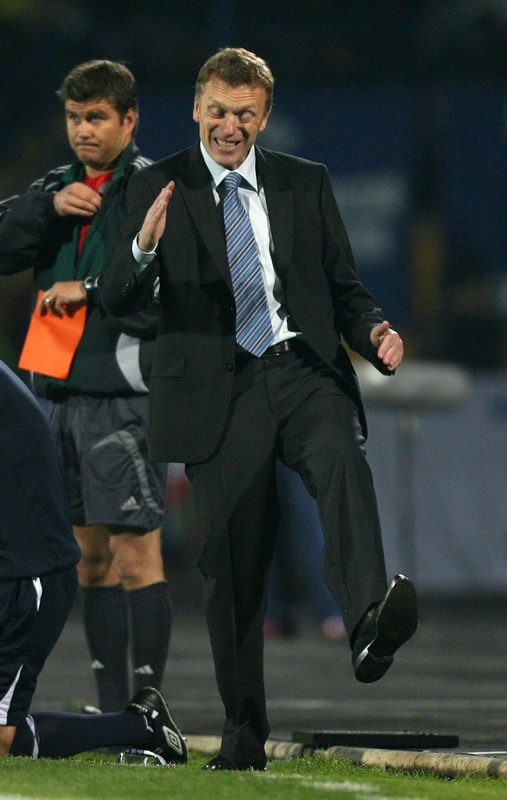 Fergie's extraordinary volto-face all those years ago, signalled continued, uninterrupted success right up to now. He's just claimed his thirteenth Premier League title. But his decision to carry on wasn't about his own private concerns about dying soon after stepping away from the limelight. His own father passed away shortly after retiring. It was about moves afoot on the United board which he couldn't abide. Then chief executive Peter Kenyon went out on a limb to get then England manager, Sven-Goran Eriksson without buy-in from the rest of the board. And when Sir Alex found out he said, "He's not going to inherit my bloody team!". Fergie stayed. That’s why all talk of his retirement this time has been reduced to wee news conference nuggets – about carrying on as long as his good health allowed it – or I’ll go in two or three years time. David Gill, 10 years United’s chief executive, who privately said he’d never quit while Sir Alex remained manager did just that. He goes in June. The idea being his departure wouldn’t overshadow the great man’s own announcement when it came. 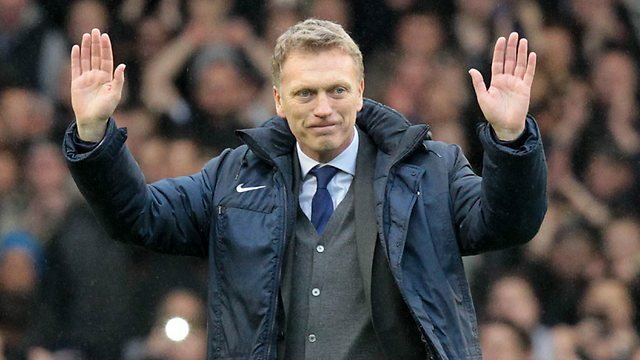 David Moyes, for many the lead successor to Fergie is thought to be in the frame. But even though the stand out candidate, Everton's manager doesn’t entirely fit the United board’s criterion to be manager. Substantial Champions League experience is missing from his CV. Privately, Moyes expressed reservations about succeeding Fergie immediately anyway. Given the immense job of replacing such a huge character, United's choice of successor is tough one. Everton's chairman Bill Kenwright said he'd personally drive Moyes to Old Trafford to succeed Sir Alex. (I bloody wouldn't). So the surprise is after all the talk and posturing over many years, as the United job becomes available, Jose Mourinho's not in the frame, despite all the years he coveted it.